In the never-ending quest for fulfillment, we sometimes convince ourselves that life would be better if we just had a different career . . . more education . . . a new spouse . . . a fresh start in another location. The good life is always just out of reach. Do you want to know the secret to living the good life—a life of meaning and satisfaction? Solomon discovered that wearing a king’s crown didn’t keep him from the ragged edge of life. He had it all, but apart from God . . . he had nothing. 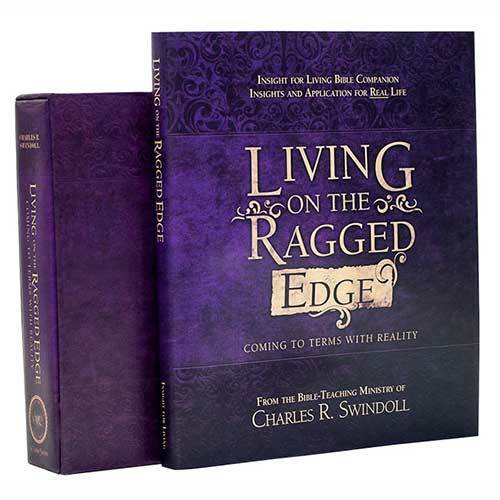 In the Living on the Ragged Edge: Coming to Terms with Reality Classic Series, Chuck Swindoll explores the personal journal of King Solomon, the book of Ecclesiastes. If you struggle to find contentment and joy in life, then join Chuck as he shares wisdom for living at its best. Living on the Ragged Edge: Coming to Terms with Reality. Eat, Drink, . . . and Be What? Copyright © 1983, 1984, ℗ 2013, 2014 by Charles R. Swindoll, Inc. All rights are reserved worldwide.